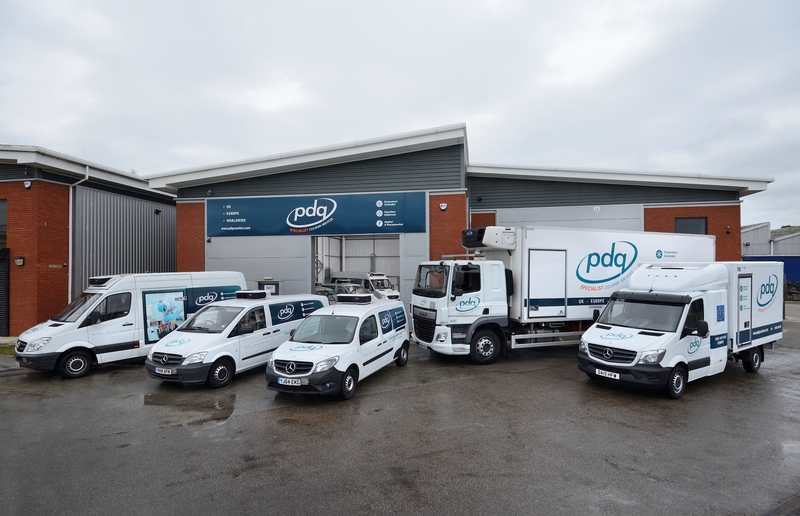 As one of the leading temperature-controlled couriers in the world, PDQ Specialist Courier Services are purpose-built to provide you with the ideal service for transporting frozen goods. We have a highly flexible range of bespoke frozen courier services, each of them offering the utmost reliability and safety throughout each and every transit we complete. We’re able to maintain exact temperatures, fully appreciating the sensitive and important nature of any process that involves transporting frozen goods. With a long track record in providing quality courier services to many hundreds of clients across sectors including medical, pharmaceutical and hazardous materials, we’re well equipped to meet your needs. With a rapid and reliable delivery service, we can offer you a great choice as a frozen goods courier. Amongst others, our temperature-controlled courier options have been utilised by clients such as the NHS and the British Heart Foundation. We’ve built up a reputation for being a service you can rely on, ready to get your frozen goods to their destination on time and fully protected. The clients we work with know that they can trust our service because of the unparalleled levels of quality, safety and punctuality in each of the frozen goods courier options we provide. To give you further insight into the level of our service, it’s important to know that we’re able to provide clear traceability throughout each point of your transport. For any client who decides to utilise one of our temperature-controlled deliveries, you’re given access to monitor the minute-by-minute location and exact temperature statistics using our personal client portal. Wherever your consignment is up to on its journey, you’ll be fully informed to plan for the arrival of your delivery. This of course offers both peace of mind and strategic benefits, as we understand the time-sensitive nature of many of our deliveries and ensure that they receive a rapid response. The efficiency of our service is second-to-none, due to factors such as our UKAS ISO 9001:2015 Quality Management System, alongside the presence of our quality van fleet, maintained regularly and offering reliable transport all over the UK and Europe. On top of this, all of our van drivers benefit from expert training and possess the latest ADR and GDP certification, while as a company we also closely adhere to MHRA guidelines. We understand that there is often a need for immediate delivery when it comes to sensitive goods, so we ensure that our frozen goods courier services are provided for by maintaining contingency capacity across our fleet of vans, meaning that we can offer courier options at very short notice. Another strength of our team of drivers is the fact that they’re qualified for the transport of a range of hazardous items, so if your frozen goods fall into this category, we should be able to provide the ideal service. Having built up a wealth of experience and clients, we’re just as committed as ever to providing impeccably high levels of safety, as well as dependability of delivery. With this in mind, all of our vans are fully equipped with several key safety additions, helping to protect your items in even the most unlikely circumstances. With emergency locking and multiple alarms as standard, your transport will benefit from these and various other safety facilities. These excellent safety provisions, coupled with the top standards offered by our van drivers and the vehicle fleet they operate, give you the assurance that your transport is in safe hands. Add in your ability to monitor us every step of the way, and you see the level of our frozen goods courier services. 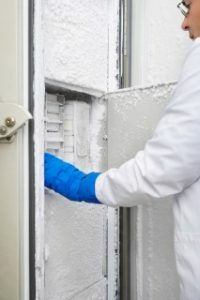 Additionally, we offer the possibility for several different frozen items to be included in the same transport, even if they all need their own specific temperature levels. These will be maintained at each stage of the transit, with our reputation as a leading frozen goods courier service of massive importance to us. We have a wide selection of options listed on our website, so have a look to see whether they fit your frozen goods transit needs. We also offer a range of bespoke possibilities, so if what you require is not clearly detailed, please ask us about it. For further conversation about how PDQ Specialist Couriers can offer the ideal solution for your frozen courier service needs, please contact us today. We’re available by telephone, by email or via the highly effective web chat tool on our website where you can chat to one of our team about the options we offer for fast, reliable and safe delivery.